One of the most prominent faces you'll see in comedy bars is stand-up comedienne, Boobsie Wonderland, who is commonly seen in her giant baby get up. Known as Mary Jane Arrabis in real life, this 39-year-old woman is surely a hit with her cutesie style of comedy. Baby Boobsie playing some kiddie games with the young audience. 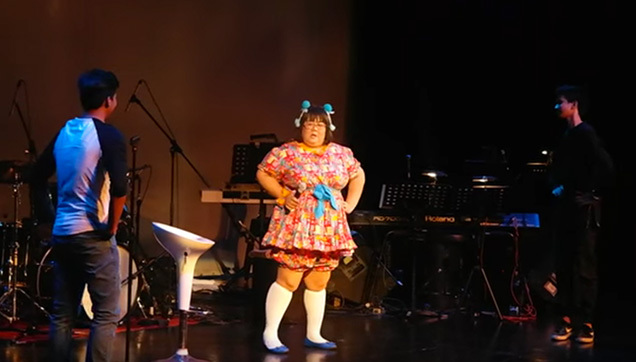 In the video below, she calls on two audience members to join her onstage. Both were college boys and one of them was even Allen, Aljur Abrenica's brother. Boobsie says they will be playing a game, and then finds out that both boys didn't have girlfriends - to which she had a whole funny spiel about her not having a boyfriend for five years now. She also even engaged with some of the audience, making them laugh as she tells them that they couldn’t go down because "sakto lang ang pera niyo!" 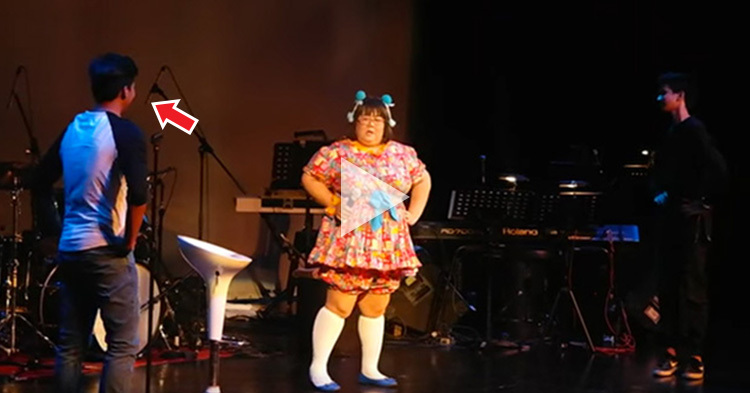 Watch her in the video as she makes her audience laugh!